Carolyn Ruth (Engel) Hoffman, age 83, of South Bend, Indiana, passed away on November 3, 2018 at her home. She was born on November 15, 1934 in South Bend and was the daughter of the late Raymond C. and Ruth T. (Krueger) Engel. She was a 1952 graduate of Central High School in South Bend. She was married in 1954 to Allan A. Henry. They had three daughters, Lisa (William) Wassner of Evansville, IN; Lori (Dean) Wiseman of South Bend, IN; and Lynne Zesinger (Bob Severeid) of South Bend; and one son, Robert (Karen) Henry of South Bend. On July 3, 1982, she was married to James Hoffman, who survives. She is also survived by two step-sons, David (Pamela) Hoffman and Michael (Tammy) Hoffman, both of Cincinnati, OH; thirteen grandchildren, and nine great-grandchildren. Her family was the most important part of her life, and she enjoyed being with them at family gatherings. She also enjoyed spending time at lake cottages and fishing with her husband. She loved to read and do crossword puzzles, and later in life, also liked doing adult coloring books. She retired from Michiana Hematology Oncology as a medical transcriptionist after 17 years. 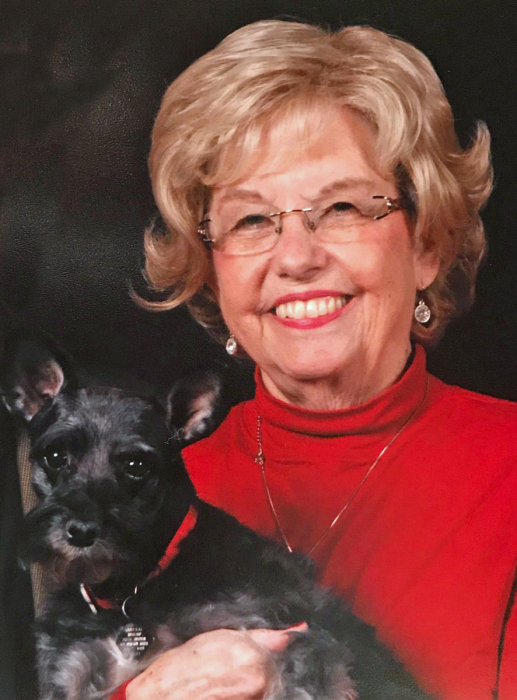 She had worked all of her adult life for several physicians in South Bend and also at Memorial Hospital and St. Joseph Regional Medical Center as a medical transcriptionist. She was a lifelong member of St. Peter’s United Church of Christ in South Bend. She served as organist and choir director at Southside Christian Church, Ridgedale Presbyterian Church, and St. Peter’s for many years. At St. Peter’s, she played the same organ that she took organ lessons on when she was a teenager. She was a member of Women’s Fellowship and served as president for many years. She was also a member of Retired Teenagers at the church. She sang in the choir at church since she was twelve years of age, having sung the first time in church when she was only five years old. Carolyn was still singing in the choir until recently. Friends may visit with the family from 2:00-8:00pm on Sunday, November 11, 2018 at Palmer Funeral Home—Hickey Chapel, 17131 Cleveland Road, South Bend, IN. A memorial visitation will be held from 10:00-11:00am on Monday, November 12th, with a memorial service following at 11:00am at St. Peter’s United Church of Christ, 915 N. Ironwood Drive, South Bend, IN. Expressions of sympathy in memory of Carolyn may be donated to Organ Fund at St. Peter’s United Church of Christ, 915 N. Ironwood Drive, South Bend, IN 46615. Online condolences may be left for the Hoffman family at www.palmerfuneralhomes.com.